Let our seasoned trial lawyers and long tradition of superior legal scholarship work for you. Have you or a one of your loved ones suffered a serious or catastrophic injury through no fault of your own? Has another person's negligence caused you pain and suffering, impaired your ability to work, or left you with a mountain of medical bills? Akin & Tate's personal injury attorneys can help you secure complete recovery and full reimbursement from insurance companies and the negligent parties. Akin & Tate Attorneys' Core Values Legal Scholarship A lawyer who doesn't know the law is ineffective. We pride ourselves in rigorous research and knowing the law and its ability to help not hurt you. Courtroom Advocates Our lawyers have tried cases of all types. We know the ropes of opening statements, closing arguments and how to best present your case to the jury. Professional Respect Our lawyers are professionally involved and have served in important legal and political positions. From the founder, Warren Akin, who served as the speaker of the house, to S. Lester Tate III, 48th President of the State Bar of Georgia. Akin & Tate's personal injury attorneys can help you secure complete recovery and full reimbursement from insurance companies and the negligent parties. Akin & Tate attorneys have helped countless local area victims and their families seek total compensation and complete recovery for serious or catastrophic injuries sustained due to: -on-the-job accidents -defective products -car accidents -SUV accidents -truck accidents -motorcycle accidents -fire accidents -drunk driving accidents If you or one of your loved ones have suffered a serious or catastrophic injury such as paralysis, paraplegia, quadriplegia, closed head injury, traumatic brain injuries (TBI), spinal cord injury, broken back or neck injury, the experienced lawyers at Akin & Tate will help you seek total compensation and complete recovery for your injuries by helping you identify and claim: -all available compensation from insurance companies or insurance providers -future expenses such as diminished earning capacity and medical bills or surgery that may not be incurred or needed until -several years after the catastrophic or serious injury -property (car, truck, van, vehicle) replacement or repair expenses -lost wages -pain and suffering -punitive damages Frequently, personal injury victims and their attorneys settle too soon or for too little money. Because Akin & Tate has experienced personal injury trial attorneys that value quality over quantity, we avoid premature settlement by taking time to guide clients to an appropriate recovery by identifying and claiming all possible sources of recovery and, when appropriate, we help our clients negotiate a structured settlement proving lifelong income. Lester Tate is a trial lawyer who served as the 48th President of the State Bar of Georgia. 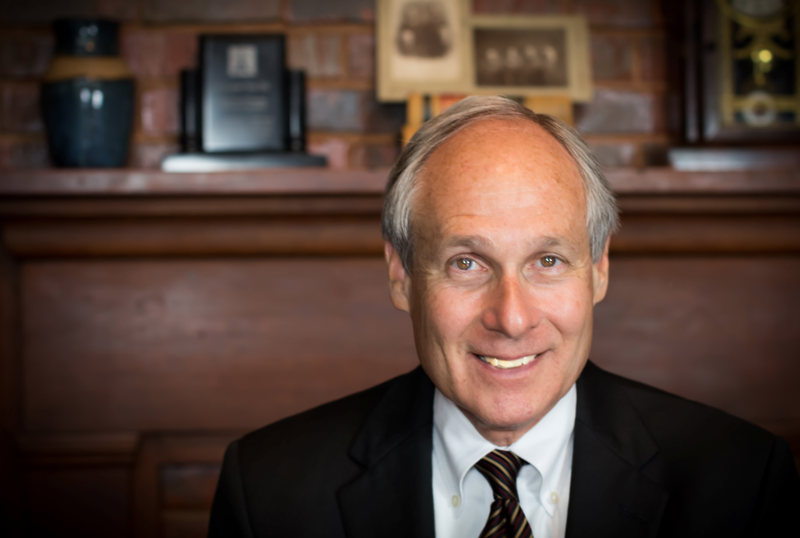 Since 1996, he has practiced as a shareholder in Akin & Tate, P.C., Georgia's oldest continuing law firm. He has won numerous million dollar plus verdicts and settlements for his clients and has been widely recognized as one of the state's top lawyers by various publications, including Georgia Trend Magazine, which named him to its list of "Georgia's Legal Elite," and Atlanta Magazine, which has repeatedly named him as a "Super Lawyer." He is currently the Vice Chairman of the Judicial Qualifications Commission and a member of the American Bar Association's House of Delegates. Lester has spent his entire professional career as a court room lawyer, having tried over 100 civil and criminal cases to verdict. Because of his extensive courtroom experience, he was inducted into the American Board of Trial Advocates, one of the nation's most prestigious groups of trial lawyers, with the rank of "Advocate." He is also a Fellow of the Litigation Counsel of America, a trial lawyer honorary society comprised of less than 1% of American lawyers. Lester has also appeared over 30 times in Georgia's state and federal appellate courts. While devoting most of his time to serious personal injury and wrongful death cases, his practice is unusually broad and has included such diverse matters as federal criminal cases, complex commercial disputes, workers compensation cases, murder trials. Lester is consistently cited as one of the state's top trial lawyers by various independent authorities. He truly is a recognized leader among his peers, as evidenced by his election in June 2010 to serve as the 48th President of the State Bar of Georgia, the governing authority of the state's legal profession. He served as President-elect from 2009-2010 and, for the two years prior, he oversaw the State Bar's $9 million budget and investments as Treasurer. The Supreme Court of Georgia appointed him to the State Disciplinary Board's Investigative Panel, where he later served as Chairman, managing the prosecution of unethical attorneys. In addition, judges of the U.S. District Court of the Northern District of Georgia elected Lester to the Federal Defender Board, where he also served as President. Lester has held numerous offices within the State Bar of Georgia. He served as chair of the State Bar's Trial Section, Treasurer of the State Bar and represented the Cherokee Judicial Circuit on the Board of Governors for more than a decade. While President, he successfully led the fight to modernize Georgia's Rules of Evidence, a project which the Bar had been pursuing for over 20 years. Lester has also been called upon to serve on a number of court related boards and commissions. 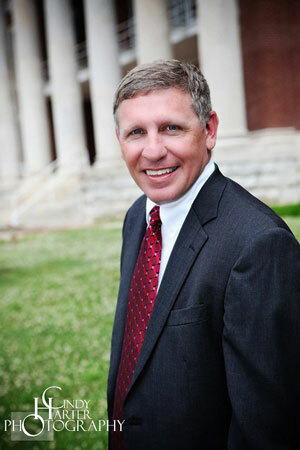 The Judges of the U. S. District Court for the Northern District of Georgia elected Lester to the Board of the Federal Defender Program where he served two terms, ultimately becoming President of the Board. The Georgia Supreme Court appointed Lester to the State Disciplinary Board's Investigative Panel where he served as Chairman. He also chaired both the Georgia Commission on Continuing Lawyer Competency and the ICLE Board of Trustees, as well as serving on the Georgia Commission on Dispute Resolution and the Chief Justice's Commission on Professionalism. He is a member of the Advisory Board of the Georgia Chapter of the American Constitution Society, Gridiron Secret Society, Old War Horse Lawyers and a Fellow of the American Bar Association and the Lawyer's Foundation of Georgia. Morgan Akin is a veteran trial lawyer and is co-owner of Akin & Tate, P.C., one of the oldest continuous family practices in the United States. The firm was established in 1836 by Morgan's great grandfather. Morgan and his five ancestors have provided legal advice and counsel to citizens of Cartersville, Bartow County, and northwest Georgia for almost two centuries. Morgan and his father, Warren Akin, joined with Lester Tate to form Akin & Tate, P.C. in 1996. Morgan practices primarily in the areas of plaintiff's personal injury, business and commercial litigation, estate litigation, and real estate litigation. A former special assistant Attorney General representing the Georgia Department of Transportation (DOT), Morgan now represents landowners against the DOT and other condemning authorities in eminent domain cases. He also does business formations, wills and estates, and adoptions. After graduating from college, Morgan was commissioned as second lieutenant in the United States Air Force and was named a distinguished military graduate. He served in the Air Force reserve following law school, attaining the rank of captain. After graduating from law school, and following a brief tour in the Air Force, Morgan returned to Cartersville in 1974, where he has since been in the active practice of law.